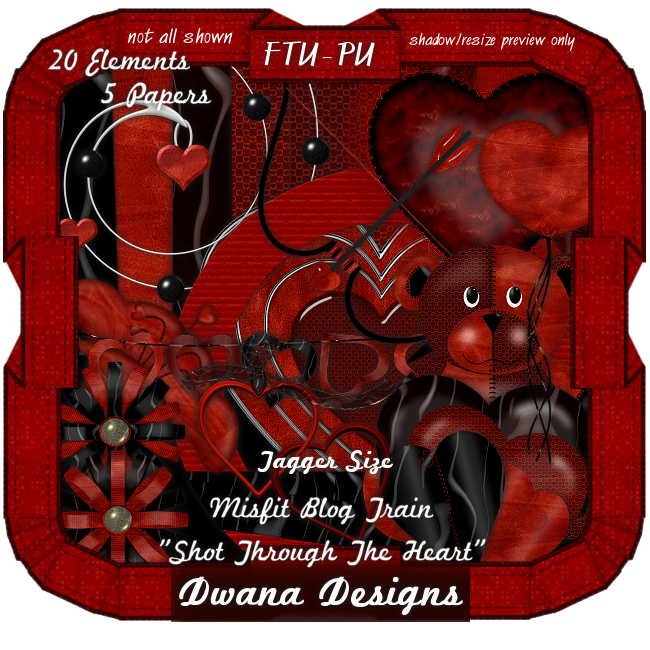 This Misfit Blog Train has left the station for February with the themeof "Shot Through The Heart". I made a Mini Kit, Personal Use Tagger Size. Be sure and check out the other stops on the train. As with all downloads, if you download please be kind and leave some love for the designer's time, talent, and generous natures! You never know whose day you just might make! Also, remember that we are all on different time zones - so please check back.